Marty Gervais is an award winning journalist, poet, playwright, historian photographer and editor. In 1998, he won the prestigious Toronto’s Harbourfront Festival Prize for his contributions to Canadian letters and to emerging writers. In 1996, he was awarded the Milton Acorn People’s Poetry Award for his book, Tearing Into A Summer Day. That book also was awarded the City of Windsor Mayor’s Award for literature. In 2003, Gervais was given City of Windsor Mayor’s Award for literature for To Be Now: Selected Poems. He received an honorary doctor of laws from Assumption University in 2010. As a writer, he has written more than a dozen books of poetry, two plays and a novel. His most successful work, The Rumrunners, a book about the Prohibition period was a Canadian bestseller in 1980. It was released again in an expanded version and was #10 on The Globe and Mail’s non-fiction bestsellers list. Another book, Seeds In The Wilderness (a collection of essays with Quarry Press/General Publishing) stemmed from interviews he conducted with such notable religious leaders as Mother Theresa, Bishop Desmond Tutu, Hans Kung and Terry Waite. With this latter book, Gervais photographed many of these world leaders. A third book, My Town: Faces of Windsor, and published by Biblioasis, proved to be its #3 seller on its list of books published. Mosaic Press in 2010 released Afternoons With the Devil, a book about growing up Catholic. Marty Gervais received a B.A. from the University of Guelph, and an M.A. from the University of Windsor where he studied writing under the celebrated Canadian novelist and short story writer Morley Callaghan. Gervais, who continues to write the My Town column in the Windsor Star, has also been the recipient of 16 Western Ontario Newspaper Awards for journalism. He has been at the Windsor Star for more than 30 years. Before that, he worked at The Globe and Mail, The Chatham Daily News, Canadian Press, The Daily Commercial News and the Weekly Standard.For 10 years, Gervais covered the Religion Beat at the newspaper and interviewed a wide assortment of major religious figures from Billy Graham and Jerry Falwell to Bishop Desmond Tutu and Mother Teresa. These stories were collected in Seeds In The Wilderness. For six years, Gervais also covered the Entertainment Beat. He was also Book Editor at the Windsor Star for 10 years. 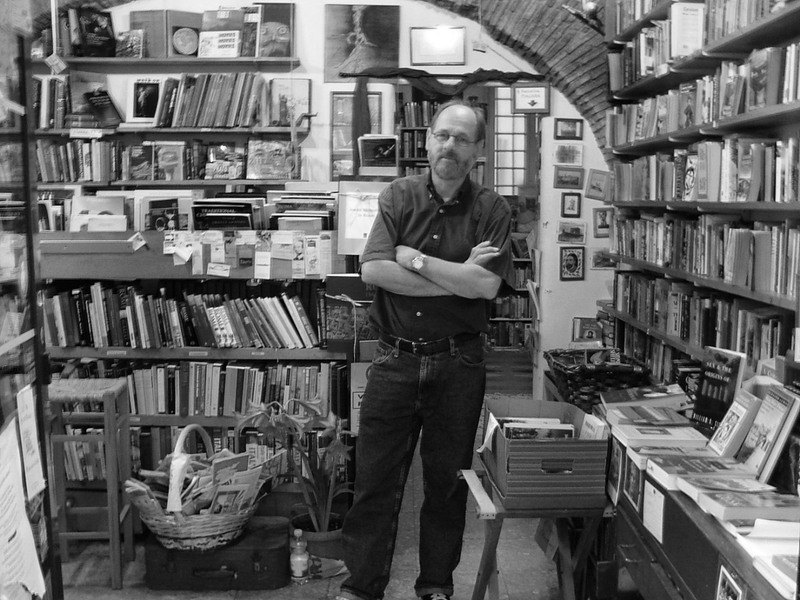 In that time, he interviewed many writers, artists entertainers, including Luciano Pavorotti, Norman Mailer, Arthur Miller, Margaret Atwood, Hugh MacLennan, Karsh, Mickey Rooney, Diana Ross, Stephen Spender, Pierre Berton, W. O. Mitchell and Maeve Binchy. 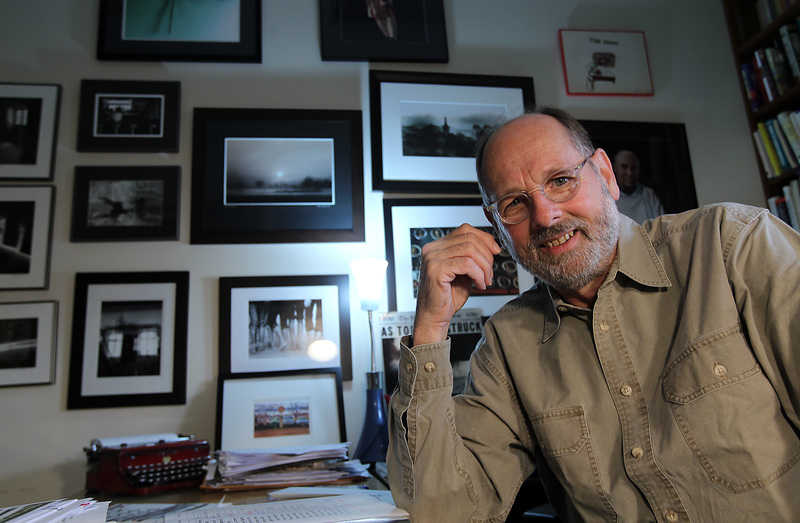 Marty Gervais has been the publisher and editor of Black Moss Press for more than 40 years. In that time, he has edited the work of such award-winning writers as Al Purdy, Earle Birney, Dorothy Livesay, Jane Urquart, George Bowering, James Reaney, Hugh Hood, El.izabeth Hay, bp Nichol, David Donnell, Rosemary Sullivan, Judith Fizgerald and Greg Gatenby. Besides running Black Moss, Gervais is managing editor of The Windsor Review magazine. He has been doing that for four years. Before taking this job, he also guest-edited an issue devoted to James Reaney. Marty Gervais began teaching creative writing at St. Clair College in 1969. He held that position off and on for a five-year period. He has also been invited numerous times to teach summer courses at Canadore College. Gervais has been teaching creative writing for the English Department at the University of Windsor for 12 years. He has also taught the Editing Practicum Course at the University of Windsor for 10 years. He has also taught creative writing for the University of Windsor’s Summer Writing Institute. Every second week during the school year, he conducts The Writing Salon, an informal workshop on writing. In terms of photography, Marty Gervais selected and edited pictures for a best-selling Canadian book called The Rumrunners, a book about Prohibition in Canada. He also selected the work of photographer Larry Towell for an exhibition and feature in The Windsor Review magazine. Three years ago, he edited A Few Good Words, a book of photography by Kentucky photographer Robert Hill. In 1998, Gervais helped organize one of the highly popular American Photo Mentors Workshop in Toronto, Ontario. He also prepared a booklet outlining areas to be photographed in Toronto and the Niagara region. Marty Gervais’s own photography has appeared in American Photo Magazine, The Windsor Review and Descant, as well as numerous other Canadian and U.S. publications, including the Canadian Press News Service and the Toronto Sun. His first exhibition of photographs was in 2001 at the Artspeak Gallery in Windsor. It received rave reviews from the media. In 2003, Descant magazine featured a photo essay of his work done while Gervais was hospitalized in October 2002. These haunting photographs — done in black and white — tell the story behind the scenes of Seven North at Metropolitan Hospital in Windsor, Ontario. Marty Gervais’ photographs have also received recognition from the Detroit Camera Club. Gervais has also studied at the prestigious Santa Fe Workshops in Santa Fe, New Mexico. Among his mentors were such renowned photographers as Sam Abell, Christ Rainier, Keith Carter, Eugene Richards, Bob Sacha and Arthur Meyerson. Thanks for sending this along, Marty. Everything looks fabulous. I so wish I lived closer. And, the uTube bit is hysterical. I love it! Marty — you are a one MAN literary event everyday! I’m so lucky to have you as my publisher! My 2 daughter just mailed me 250 glazed large postcards with a full cover of “Small Acts” on pic. side . That lead poem is about sweet event on Bowen Island including the Collin sister who was a noted painter (as ….Mactyre ), and her family with acres of local organic farming –donated land for our church over 100 yrs. and then 50 yrs ago added land for Collins Hall next door.